Nextgen Distribution, managing director, John Walters. Nextgen Distribution has struck an exclusive national deal to distribute Nimble's flash-optimised hybrid storage across Australia. 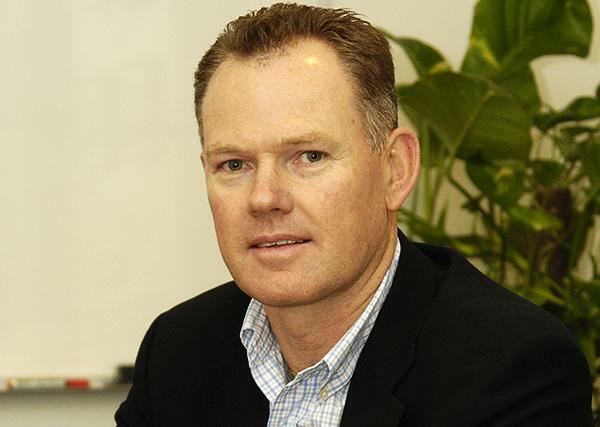 The deal follows the appointment of the Sydney-based distributor to the Nimble Storage Partner Network as a value-added distributor for New Zealand. It also caps off solid growth this year for the New York Stock Exchange listed Nimble, which was founded in 2008 and entered the Australian market just two years' ago. Nextgen will now assist in driving sales and market penetration for the Nimble Storage flash storage solutions among public and private sector enterprises in the Australian market. Nimble Storage vice-president of Asia Pacific and Japan, Peter O'Connor, said the increasing number of partners and demand had driven the company to a stage where a distribution model was warranted. "We needed assistance with the growing demand and this has driven us towards John [Walters] and Nextgen," he said. "John's organisation is all about innovative and disruptive products and we fit straight into that model. "I am not averse to starting a distribution relationship with a young company - because we are a young company, and this is an opportunity for us to grow fat and happy together." O'Connor said his company would only be adding a single distributor in Australia. "The more we can focus on each others' business, the better off it is for everybody," he said. "We only have one relationship to manage and that means we can put more effort into better generating sales for our channel community," he said. "We will make this a huge success for the resellers as well as a good business partnership for the both of us." Nextgen Distribution managing director, John Walters, said the decision to partner Nimble was extremely measured. "We decided we wanted to be a disruptive player and we did extensive research on where we wanted to play and what technology and vendor portfolio we wanted to bring to the table," he said. "But the important thing about Nimble from a channel perspective is that they are 100 per cent channel and they will remain 100 per cent channel and that is a good story for resellers." Walters brushed of possible concerns partners may hold with a move to a distributor model. "When there's a change in the go-to-market, there's often some nervous people," he said. "Our strategy at Nextgen is to be innovative and flexible in our relationship and we will be working very closely with the current Nimble resellers make sure it's done in a seamless manner. "We are very focused on investing in the Nimble story and making sure the transition is made in a seamless manner." Nextgen Distribution is a specialist technology distributor that brings together established and emerging Vendors to deliver tailored datacentre and Cloud-based solutions in a way that adds value to all levels of the ecosystem, according to a company statement. Walters said, since visiting the Nimble team in Silicon Valley two years' ago, he has watched the company expand. "I first visited Nimble to get an understanding of the company’s strategy and market positioning," he said. "Since that visit, I have witnessed Nimble build a great local team and that combined with exceptional technology, has seen Nimble enjoy significant early growth in the A/NZ market." Nimble Storage provides an adaptive flash platform that is engineered to provide organisations with the highest levels of performance, efficiently, according to a company statement. Along with integrated data protection and predictive support, enterprise customers can deploy scale their storage infrastructure as their business grows. The company's flash storage solutions are based on its patented Cache Accelerated Sequential Layout (CASL™) storage architecture that leverages fast read performance of flash and the cost-effective capacity of hard disk drives, and Nimble InfoSight, an automated cloud-based management and support system that maintains storage system peak health. Nimble Storage director of channel sales, Theo Hourmouzis, said both public and private sector organsiations were working with partners to invest in the storage tools and technologies.